Could a robotic-assisted hip or knee replacement be right for you? Register via events@burnsidehospital.asn.au or 08) 8202 7208. These sessions are held at the Burnside Hospital Lecture Room on the ground floor of the hospital. Coffee, tea and light refreshments will be available. Robotic-assisted joint replacement surgery is an innovative procedure that allows surgeons to use minimally-invasive techniques and achieve high levels of accuracy. 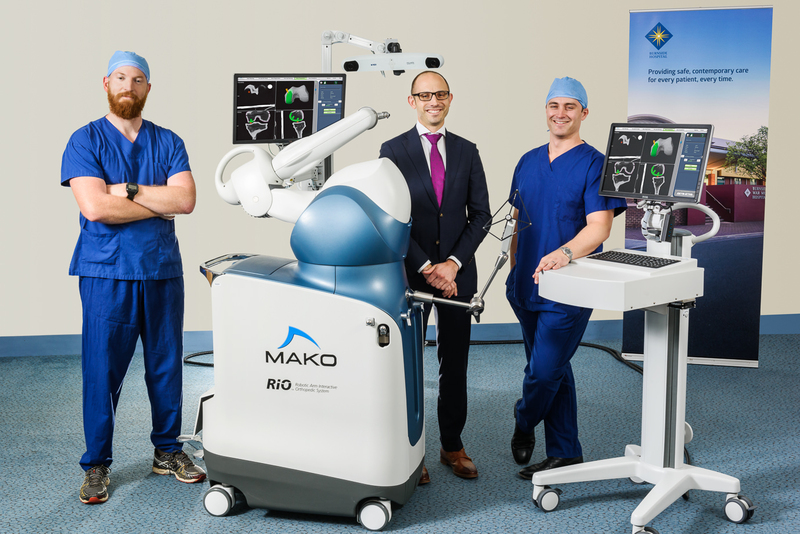 Now with over 400 successful ortho-robotic procedures carried out so far at Burnside Hospital by three accredited orthopaedic surgeon, Dr Robert Baird, Dr Robert Fassina and Dr Justin Munt, you can rest assured that you are in excellent hands. This proven and leading technology has been used throughout the world, for over 12 years and complements our hospital's range of orthopaedic surgery treatment options. Click here for more information on this type of surgery.